Greater DC Diaper Bank is among the NDBN member diaper banks that have distributed diapers to furloughed federal workers and families impacted by the recent government shutdown. National Diaper Bank Network uses GoFundMe grant to get 750,000 diapers to diaper banks supporting federal workers impacted by the recent government shutdown. 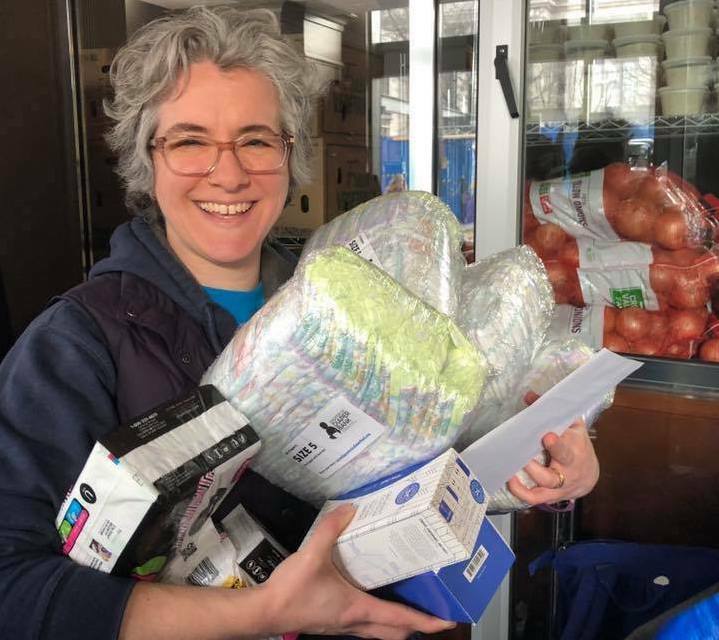 NEW HAVEN, CT, USA, January 31, 2019 /EINPresswire.com/ -- The National Diaper Bank Network (NDBN) announced today that it has directed more than 750,000 diapers to 18 NDBN member diaper bank programs engaged in emergency diaper distribution efforts that are supporting federal workers impacted by the recent 35-day government shutdown. One in three U.S. families experiences diaper need, which is the struggle to provide enough diapers to keep a baby or toddler clean, dry, and healthy. A lack of clean diapers impacts the physical, emotional, and economic well-being of children and families. NDBN member diaper banks sharing in the diapers include: Austin Diaper Bank; Diaper Bank of North Carolina (Durham); Diaper Bank of Southern Arizona (Tucson); Galveston Diaper Bank; Greater DC Diaper Bank (Washington); Greater Philadelphia Diaper Bank; HappyBottoms (Kansas City); Help A Mother Out (San Francisco); Hope Supply Co. (Dallas); Jake’s Diapers (Kaukauna, Wisc. ); Metropolitan Detroit Diaper Bank; Mitzvah Circle Foundation (Philadelphia); Nashville Diaper Connection; St. Louis Area Diaper Bank; Texas Diaper Bank (San Antonio); The Diaper Bank of Connecticut (North Haven); Western Pennsylvania Diaper Bank (Pittsburgh); and WestSide Baby (Seattle). Other national nonprofits receiving grants from the GoFundMe campaign include World Central Kitchen, Feeding America, and Federal Employee Education and Assistance Fund (FEEA). To date, the fund has received more than $470,000 in donations. The National Diaper Bank Network (NDBN) is a nationwide nonprofit dedicated to eliminating diaper need in America, by leading a national movement to help meet the basic needs of all babies and their families…including access to clean, dry diapers and other material goods. Founded in 2011 with the support of Huggies®, the network raises national awareness of diaper need (#DiaperNeed) and supports the development and expansion of diaper banks in communities throughout the country. Its active membership includes more than 200 diaper banks, diaper pantries, and food banks located in 47 U.S. states and the District of Columbia. More information on NDBN and diaper need is available at www.nationaldiaperbanknetwork.org, and on Twitter (@DiaperNetwork) and Facebook (facebook.com/NationalDiaperBankNetwork).